As a general rule I do not like fruity desserts. If I am going to consume an entire days worth of calories in one plate it must include chocolate, caramel, brownies, ice cream, nuts, or Oreos. Seriously. Fruit is not a dessert. 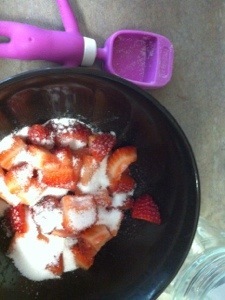 Put your strawberries in a bowl and sprinkle the sugar on top. Set aside for about 30 minutes. 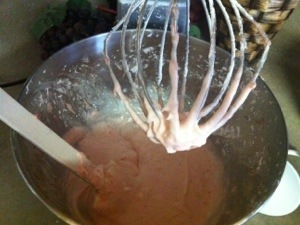 Dump your cake mix, jello, oil, water, and flour into a mixer. Turn on low and add one egg at a time. Mix well. 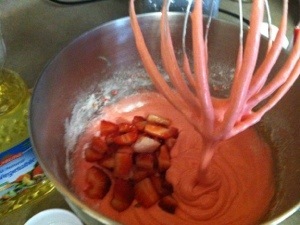 Add half of your strawberries and mix well. 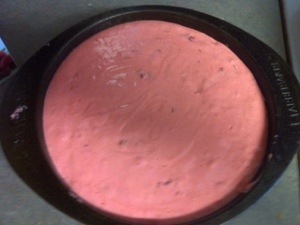 Fill two 9 inch, well-greased, cake pans. Bake on 300 degrees for 20-25 minutes. Until a toothpick comes out clean. While your cake cools, make the icing. 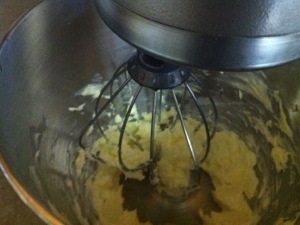 Cream your butter. 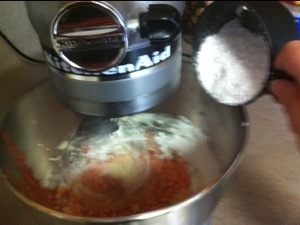 Slowly add the powdered sugar and the remaining strawberries. This can be tricky. It all depends on how much juice your strawberries make. 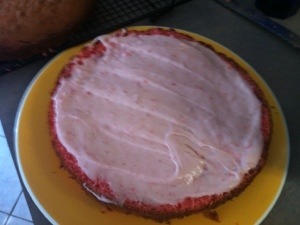 If they are extra juicy it can make your icing too runny. 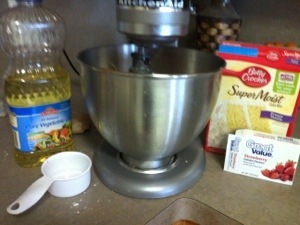 If that happens you can always add a little powdered sugar until you get a good consistency. 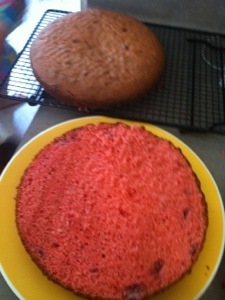 Once your cake has cooled, cut just enough off one of the cakes to make a flat surface for layering the cake. 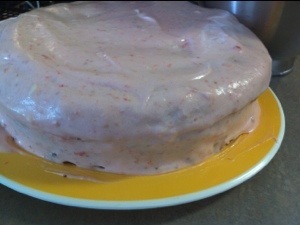 Cover with icing and place the other cake on top. Ice the remaining of the cake. Then……..ENJOY!!! It is so good!! I can’t wait to try it after we visit the strawberry farm in the spring.